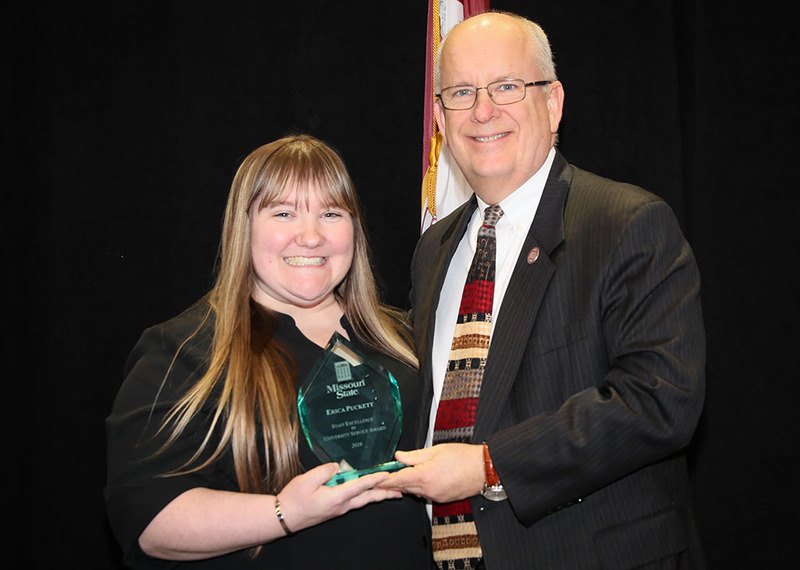 Erica Puckett, administrative assistant II in the admissions office at Missouri State University-West Plains, received a Staff Excellence in University Service Award. The award was presented during the annual Staff Service Awards program Wednesday, Jan. 9, at Missouri State University in Springfield. Puckett received a personalized plaque and $1,500 cash award from Missouri State University System President Clif Smart.